It is the focus on sustainable, collaborative, performance-based results with your Suppliers and your internal stakeholders. Traditional strategic sourcing models have focused on per unit cost reduction, selecting the low cost or price provider and utilizing static supplier performance metrics (such as cost, quality and delivery) to measure results. Transformation cannot be achieved by working faster using dated approaches. Today’s evolving organizations recognize that there is a need for supply solutions for both Direct and Indirect categories of requirements that drive increased value beyond just cost and price, such as support of corporate revenue growth or improved new product development and market launch, access to new technologies or geographic expansion. This is accomplished with knowledgeable resources who have matured capability to manage across a variety of sourcing supply models and who are aligned organizationally to support business strategies and overall company goals and desired outcomes. Continuous improvement and sustainable sourcing solutions, enhanced with an optimized management process, provide the platform used to drive innovation and operational excellence – all this from the Procurement Team! 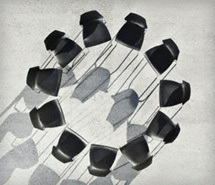 The Forefront Group is uniquely qualified to assist organizations in achieving self-sustained transformation AND to be more effective in generating the value sought by today’s best performing companies. 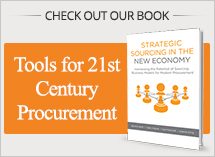 Our expertise and support tools span across 7distinct Sourcing Business Models, endorsed by IACCM, SIG and CORE and Certified by the University of Tennessee. We can guide you through your transformation journey in partnership with your team with flexibility that supports your business and cultural environment.